Why Action Factory NLP Sales training academy and NLP Team building centre is right place for you. Action Factory is a premium internationally Accredited NLP Sales training and NLP Team building centre in South Africa, with training courses in Johannesburg, Pretoria, Cape Town, Bloemfontein, Durban and Port Elizabeth. 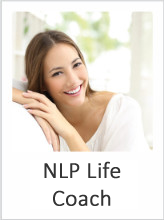 Highly experienced International Certified Master Trainers will guide you with NLP Sales training and NLP Team building training combined the 2 courses into 1 powerful course. 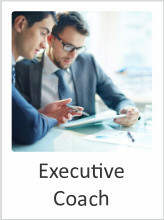 Exceptionally high course content will be provided and real skills and techniques that have been tried and tested over years of research and development. The courses are well priced for the South African market, affordable so that each student leaves our academy having the experience of real change. People are increasingly seeking the services of a professional coach as they navigate through the challenges of their personal and professional lives. COMENSA members are bound a Code of Ethics. This will give you peace of mind about your coach’s professionalism and credibility. COMENSA provides a process whereby ethical queries and complaints regarding members may be submitted to the Ethics Committee for review and processing. All practicing COMENSA members are encouraged to be under supervision. However, certain membership categories are subject to mandatory supervision. This means that they regularly meet with their own experienced supervisor for the purpose of ensuring that they are constantly improving their practice and providing the very best service to their clients. COMENSA members are expected to attend to their continuing professional development by attending training and workshops. This results in our members not only gaining experience, but also developing their own range of competencies. COMENSA members participate in, and have access to, the latest industry-related research. As a result, they are constantly and reviewing and improving their practice. COMENSA members have access to regular meetings where they can share knowledge and experience, learn from one another and discuss best practice. Our members share these same values, which is why they choose to be members of the Association for NLP. ANLP enables them to promote these shared values effectively to their potential clients and demonstrate their own commitment to best practice, accreditation and standards in NLP. 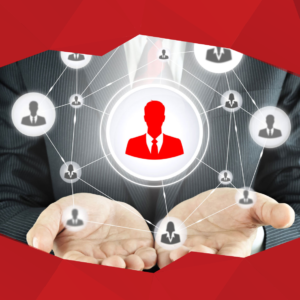 We recognise that choosing the right NLP Professional for your needs can be confusing. To reduce the risk of potential pitfalls, we are here to encourage best practice amongst NLP Professionals, provide impartial advice and help you make the best choice. We are proud to announce that Action Factory has officially entered into a partnership with us, ICR coach register to become an ICR Accredited Agency. This means that the courses offered by Action Factory are now officially ICR Accredited. Links to the Action Factory profiles can be found here, feel free to have a look around our website for some detailed information if you want. 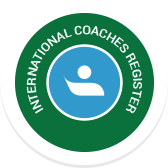 ICR Coach Register is a new register founded in Holland just over a year ago and we are now also operating out of Johannesburg. We are ISO 9001 Certified by Lloyds and are CRKBO accredited by the Dutch ministry of education and are working towards being SAQA accredited locally. 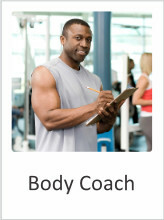 As a register, ICR Works toward the demands of our coaches. We do this by holding regular survey’s and interacting with our certificate holders. This ensures that we try and facilitate everything that you may require. If you are interested then please send any questions or information requests to us and we will be happy to answer them as quickly as possible. The cost of application for the remaining 5 months has been reduced by 50% to celebrate our expansion into Africa, from 100 Rand/month to 50 Rand/month. Also, as (former) students of Action Factory, you are entitled to 75% discount on the admin fee, which is reduced to a once-off 250 rand. We create opportunities for positive change by providing free education and resources to volunteers involved in humanitarian work. The IACTM Foundation is a nonprofit branch of IACTM that makes courses and workshops as well as useful services and products freely available to those who are actively making a positive difference in the world. These volunteers may make a wish for any of the IACTM Approved Resources, then we seek funding from Sponsors to make their wish come true. We accredit ethical and authentic professionals in the fields of coaching, therapy, mentoring and training. 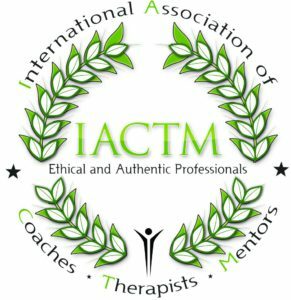 The IACTM accredited professionals are endorsed, supported and showcased in our Directory. 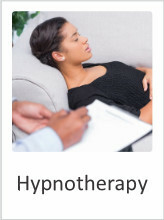 We believe our Life coach academy, NLP training institute & Corporate training centre can deliver the techniques and skills for people to experience shifts in behaviour, emotion, beliefs and thoughts. People are not broken. We have behaviour programs that don’t serve us in our lives anymore. Most unwanted behaviour has served us well in the past but as our lives and environment changes so should our behaviour patterns. As babies we cry for food, love and attention. At some stage of our lives we alter these behaviours to adjust to new understanding and experiences. We do the same with all our behaviour patterns. But, as we mature we seem to find it more difficult to adjust behaviour patterns. The longer we use them, the more engrained they become. Often we need an outside catalyst to assist us to change. That catalyst is you as a NLP Life Coach. 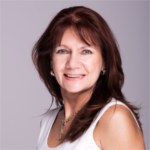 The Action Factory Life coach academy will teach you the skills and techniques to assist people to “reprogram” themselves to match the behaviour and experience they seek. We focus on what people want instead of what the problem is. Our training is outcome based ensuring real people experience real results for real situations in a real world. 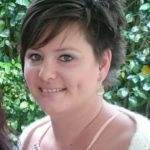 The Action Factory Life coach academy teaches these techniques and skills in a full experiential style. We give the theory and then apply the techniques on our students and our students apply it on each other. This process ensures true learning from experience to assist you to fully understand what your client will experience. To bring real change…..you must understand real change. The Action Factory Life coach academy offer free open days to allow you to come and meet us. To see who we are and to notice that what we teach, we live. True transparency and authenticity makes the best coaches. To join an open day or apply for an application form or more information just complete the form on the booking form page. Become the life-changing solution that thousands of people are looking for right now. Start by enrolling in a professionally designed course from Action Factory, the leader in Life Coaching and NLP Certification in South Africa. Then, open the door to the dream practice you’ve always wanted – and enter with confidence. You’ll immediately feel equipped to help a growing list of eager clients break free, dream big and live large in a way they never thought possible. The key is in your hand.